Where can you listen to oceanographer Jacques Cousteau, journalist Norman Mailer, mythology specialist Joseph Campbell, brain and mental health writer Oliver W. Sacks? Some of these famous adventurers, movers-and-shakers and celebrities are dead and gone. However, there are hundreds more interviews—a veritable gold mine of stories, explorations and honesty from some of the disparate characters in the world thanks to Louis Terkel. Terkel was born in 1912 to Samuel Terkel, a Russian Jewish tailor, and Anna, a seamstress by trade. You could say “Studs" had New York sensibilities because he was born there, but his family —including brothers Ben and Meyer—moved to Chicago, Illinois, when he was eight and he lived most of his life in the Midwest. That move was probably one of the more influential events that helped Studs to become the person he was. Why? Because from 1926 to 1936, his parents ran a boarding house. He claims there was always room for everyone, luggage or not, and that the property was rented to tenants and short-term visitors from a variety of social, economic and ethnic groups. Later, Terkel would say that his understanding of humanity and learning how to interact with people whose ideas and customs varied from his own came from that environment. At age 22, he received a law degree from the University of Chicago’s Law School, but that must not have felt right because he wanted to be a hotel concierge (perhaps from watching his parents serve their guests). This apparently didn’t pan out either, as he joined a theater group. It was there that he got his nickname. Two cast members were named Louis. To keep things straight the director named Terkel “Studs" after a fictional character in the part he was reading for: Studs Lonigan, a three-part play by American novelist, James Thomas Farrell. At 27, he married his lifelong sweetheart, Ida Goldberg and they brought a son into the family. 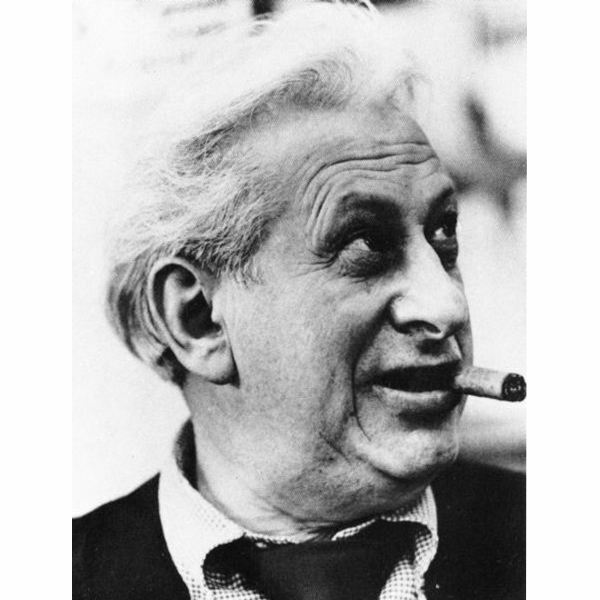 Terkel joined the WPA Writers Project—a federal project that provided jobs to unemployed writers and editors as part of the New Deal—in its radio division. It was here that he was asked to read a script. Shortly after, he began performing a gangster persona in radio soap operas, and later, snagged a news show. World War II put him into the Air Force but he returned to his own radio show “The Wax Museum," where he got to do what he loved, interviewing some of the world’s best and most familiar musicians. Incredibly, this show ran for 45 years. He was lucky enough to speak with Louis Armstrong, Bob Dylan, Ravi Shankar—a diverse collection of talent from folk music to opera to jazz. He acted as commentator but also as a disc jockey, even before the term was in the lexicon. Over the years, Terkel won many awards. He also wrote and was celebrated for many books. He won a 1985 Pulitzer Prize for the title The Good War: An Oral History of World War II, which talked about ordinary people who were involved in the war from whom he had coaxed narratives of their experiences, but from a global perspective. The subjects talked about the chaos, their fear of bombings, sacrifices and death. In 1974, Studs Terkel wrote a book about working. Working: People Talk about What They Do All Day and How They Feel about What They Do is a celebrated accomplishment. To write it, he used his good listening skills and his raspy old-school voice to get people to open up. Some of the “daily grind" sort of people at work even comment about how they have told him things they have never said aloud. For example, a gas meter reader shares a secret: the men put a certain code on the customer cards when there was an attractive woman in the house. There are deeper insights too, the real nuggets of how people feel about what they do and why, from the disgruntled working class to the ones who are proud of their contribution and exult in their competence and ability to perform. Working highlights an era when modern management practices and computers were just beginning to transform America. A Luddite, Terkel worried about upcoming technology and the loss of storytelling, and of real conversation becoming obsolete. Mentioning George Orwell, he wondered what would become of the “human voice." He claimed that electronics were never his thing and that his son even did his emails. Studs Terkel’s book has become a radio drama, a short-lived Broadway musical, a telecast on PBS in 1982, and a graphic depiction. Seven thousand tape recordings of Terkel’s interviews and broadcasts are in the Chicago History Museum. Terkel smoked two cigars a day until 2004, quitting at the ripe old age of 92. Terkel fought the good fight in all things and successfully underwent an open-heart surgery at the age of 93. Doctors were amazed at his recovery. This feistiness led him to take up a cause in 2006, when he joined along with other plaintiffs to file a lawsuit in the federal district court against AT&T, to prevent the telecommunications carrier from sharing customer’s telephone records with the National Security Agency without a court order. His last interview was as a guest on BBC HARDtalk that had him dispensing advice to Barack Obama as President of the United States. Terkel died in his Chicago home on Friday, October 31, 2008 at the age of 96. Terkel, Studs. Working: People Talk About What They Do All Day And How They Feel About What They Do. New York: The New Press, 1972, 1974, 2004. Book. Buhle, Pau; Ed., adapted by Harvey Pekar. Studs Terkel’s Working: A Graphic Adaptation. New York: Pantheon Books, 2009. Graphic Book.